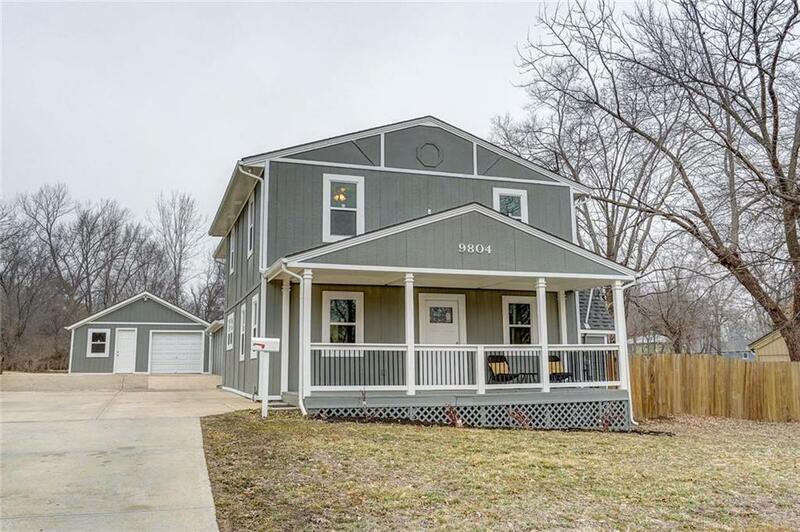 This home is a unicorn! Irresistible modern farmhouse in the city on a private slice of heaven. 1+ acre! Completely professionally remodeled! Open floor plan featuring so many new updates: Roof, Windows, Paint (Int. & Ext. ), Zoned HVAC, Water Heater, Kitchen, Baths, & more. Dream Chef's Kitchen: SS Appliances, Double Oven, Gas Cooktop, Quartz Counters, Huge Walk-In Pantry, & Mudroom. Wrap around deck with great view. Over 3,000 sq. ft! Main level bedroom & office. Detached garage w/ workshop. Truly one of a kind!